I tend to leave my weekend plans to last minute decisions. 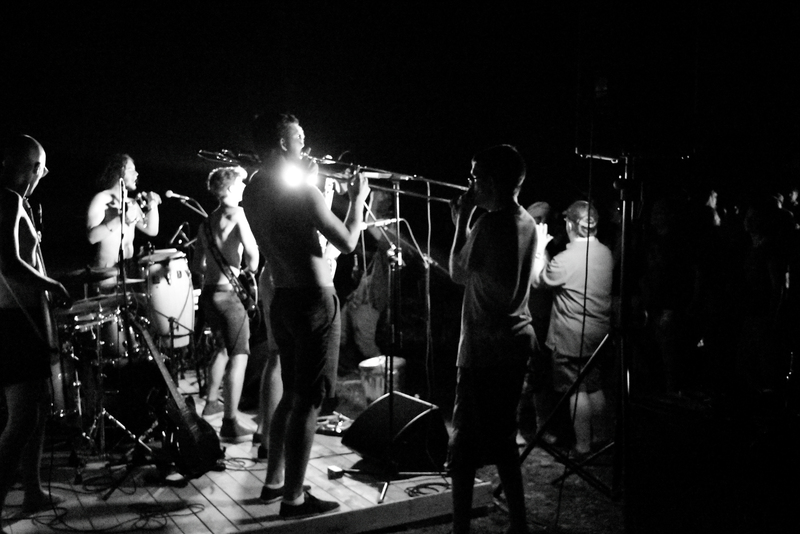 All I knew was that I wanted to join Balkan tour 3 pre-party happening in Slovenian Kobarid. 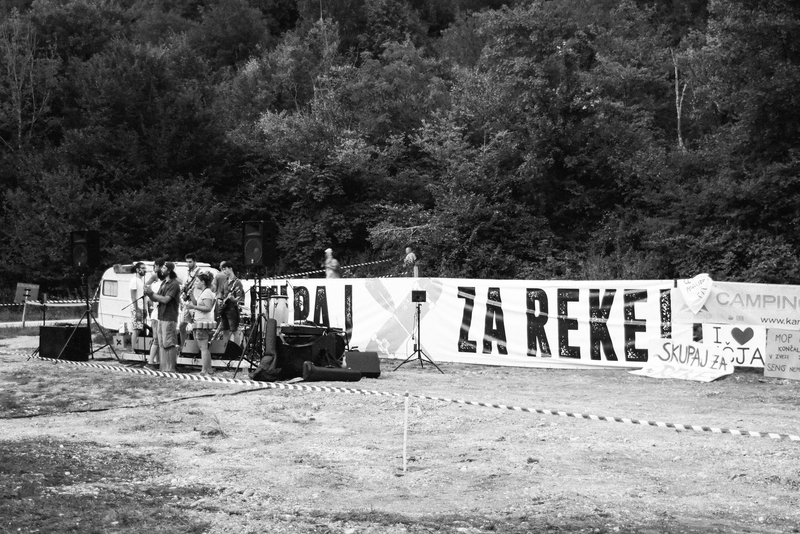 It was the opening of their Balkan Rivers Tour 3, a fight for the Balkan wild rivers. But I had no car, no proper train connection or anyone that would be interested to go. So I was giving up on that plan. As I was already planning to catch a ride and go to direction Vienna, my colleague mentioned he is actually driving to Slovenia and can give me a ride to Kobarid. Hmmmm, I grabbed my phone and texted my friend Urška to check if she would come there with a bike, motorbike, helicopter (you never know with her) and join me. 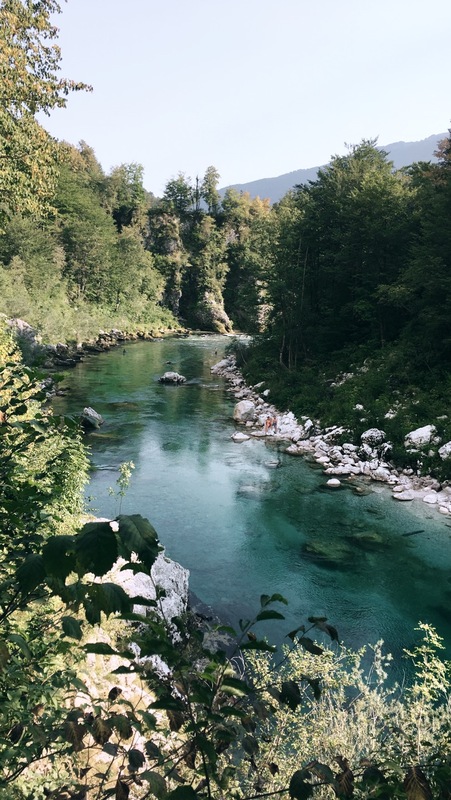 She texted back “I’m in Tolmin (20min from Kobarid) right now, come”. And she instantly started making a plan that included long e-bike rides and all sorts of other plans. 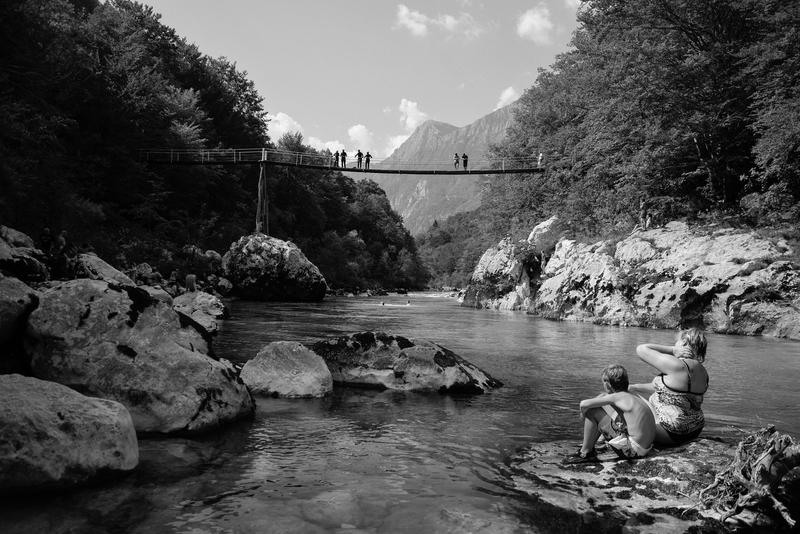 Soča region is amazing, even the ride there is so panoramic, driving through Log pod Mangartom, Bovec down to Kobarid. After I was dropped off at the camp I went straight to the beach and jumped into the ice cold river. I stayed there on my little private spot by the river, until the ladies arrived with bikes. Got lost while trying to climb through the woods to find them, picked some waste and went back to the camp. 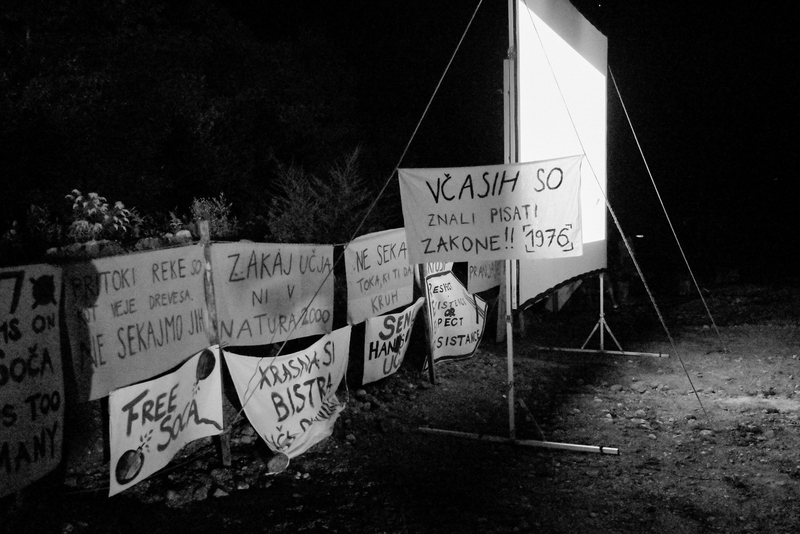 Blue Heart movie, was definitely worth seeing and Rok Rozman presented Balkan river defence work and their Balkan rivers tour happening in September (read more about the tour bellow). 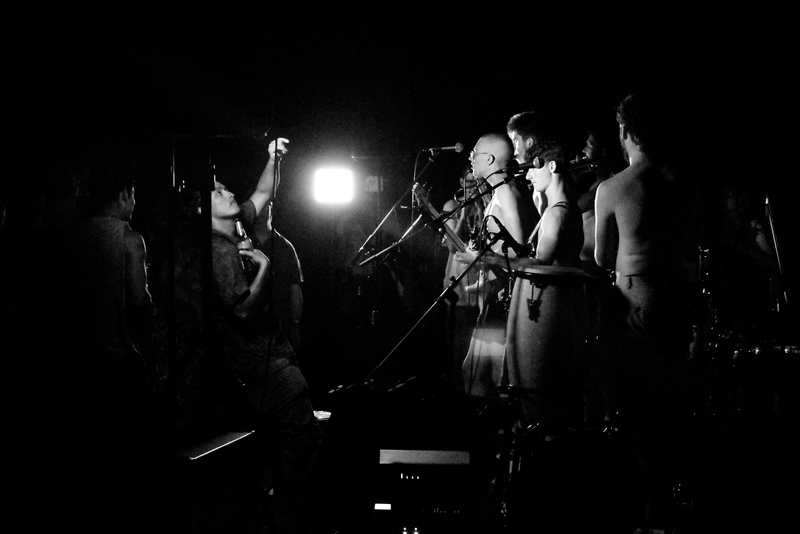 Band Smetnaki did a good job of keeping us entertained and up on our feet. 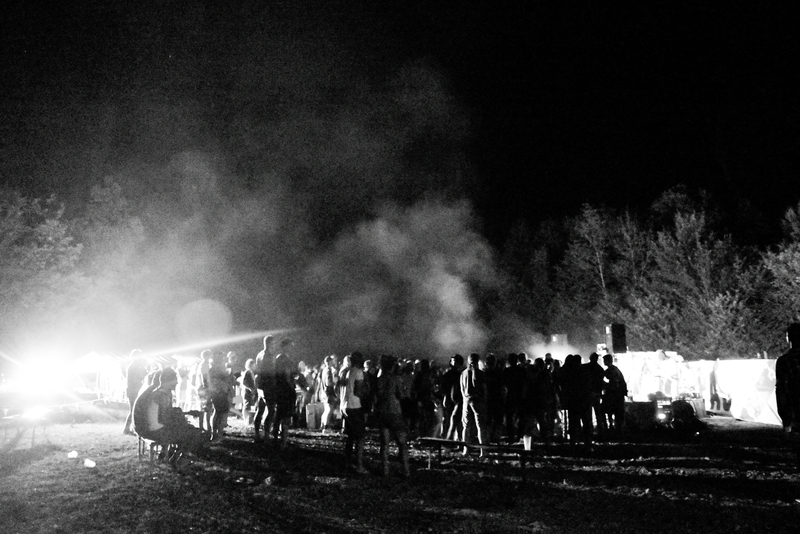 We spent the night outdoors, something we should all do more often. Next day I got to try e-biking, jumped in the river and got caught in the storm, got a van ride to the train station and bearly catching our train back home. I never wanna have normal friends and planned out weekends. Why do we need to fight for our rivers? Hydropower is the only “renewable” energy source sending species to extinction, displacing people globally, and contributing to climate change. Dams and river-draining diversions are both devastating to ecosystems and the people who live within them. 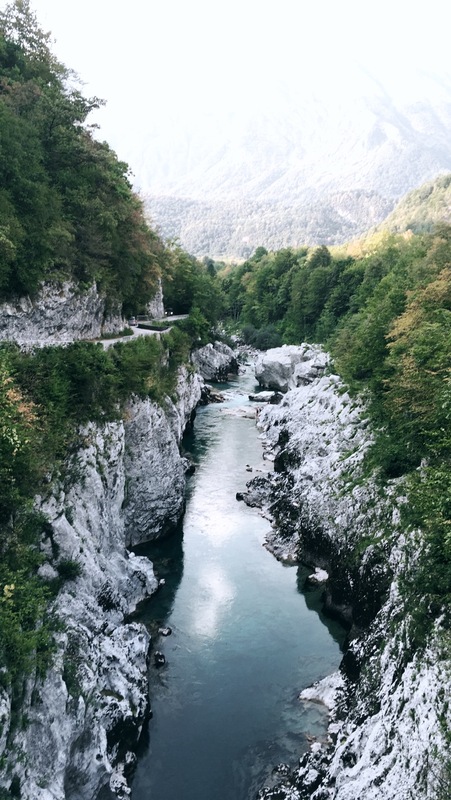 In the Balkans, 91% of the more than 3,000 proposed dam projects involve small hydropower diversion dams, which divert water from rivers and even drain stretches of rivers dry. Studies have found that the cumulative impacts of multiple small diversions often outweigh those of a single large dam. Dams and diversions drastically change the environment and contribute to global climate change, negatively affecting waterways, natural habitats, surrounding landscapes and entire communities. 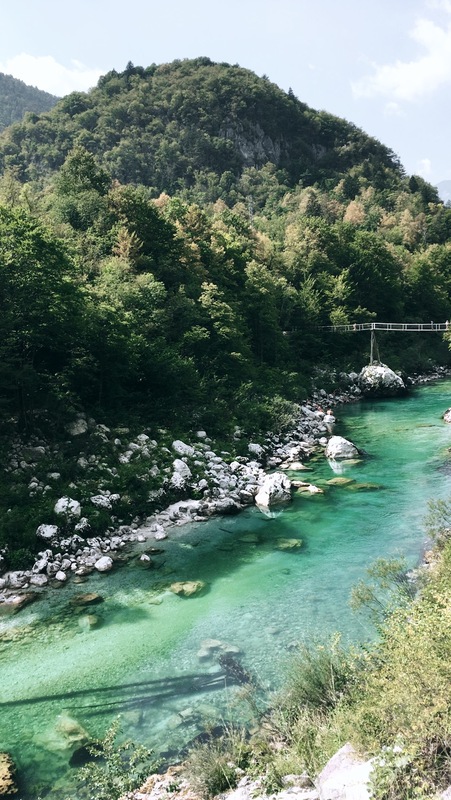 The Balkan region—richly diverse in cultures, languages and history—is home to the last wild rivers on the European continent. The region truly is the Blue Heart of Europe. The decimation of the wild Balkan rivers must stop. International banks have poured millions of euros into destructive hydropower development in the region, when the movement to free our rivers and remove dams is growing worldwide. With more than 3,000 devastating hydropower projects planned in the Balkans—nearly every river in the region will be impacted. 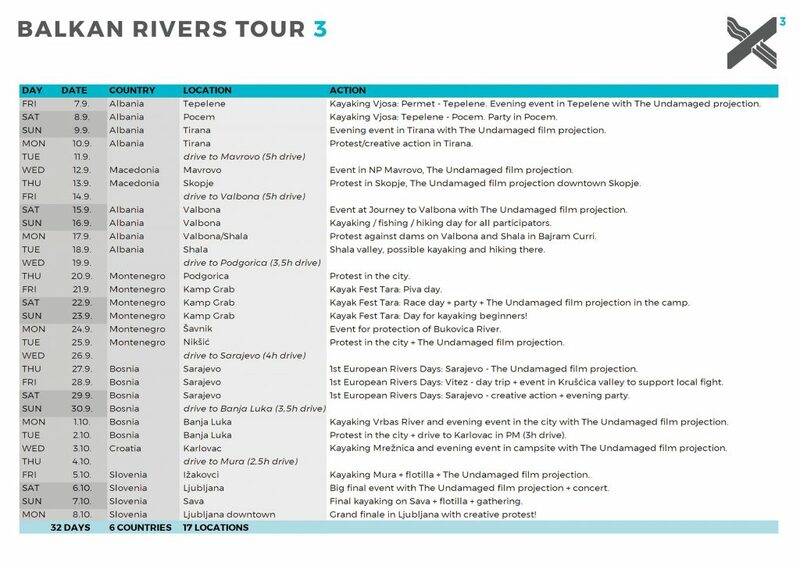 Balkan Rivers Tour 3! Please see the program below and get ready for action in autumn. 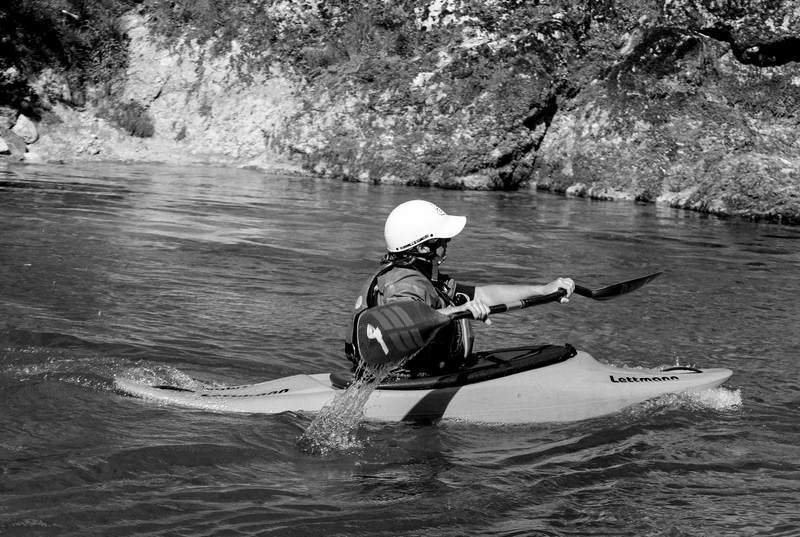 Shake the dust from your kayaks, fishing rods, bikes and hiking shoes. Think about how and where you can join, how can you contribute to creative actions and protests and who will you bring with you. 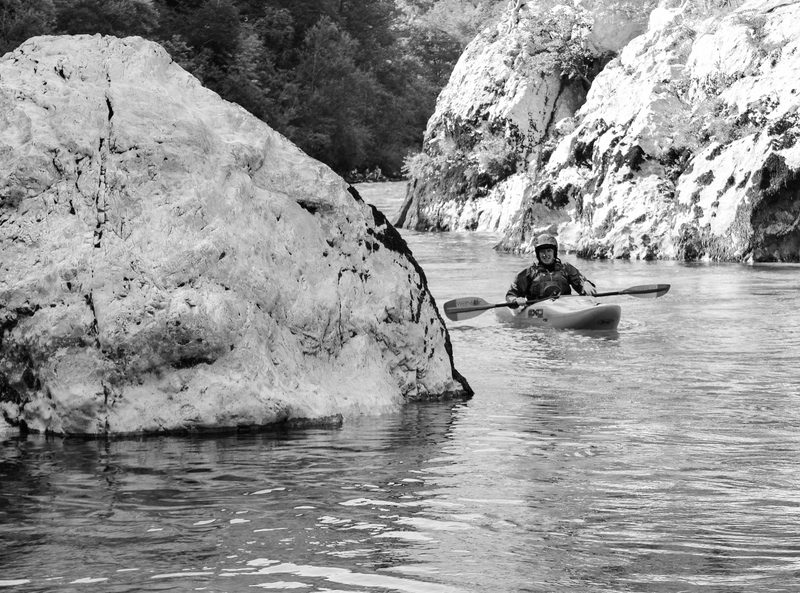 The tour will start on Friday, Sept 7th with kayaking on Vjosa in Albania (unofficial start in the hot pools of Langarica a day before) and end on Monday, Oct 8th 2018 with a creative protest against greed and for rivers in Ljubljana, Slovenia. If everything goes by plan I will join them in Sarajevo. Rivers are life and they should stay wild, clean and free. And we should all do everything we can to protect them.